A mountain biking adventure of the rarest kind. This is not just another day in New Zealand. 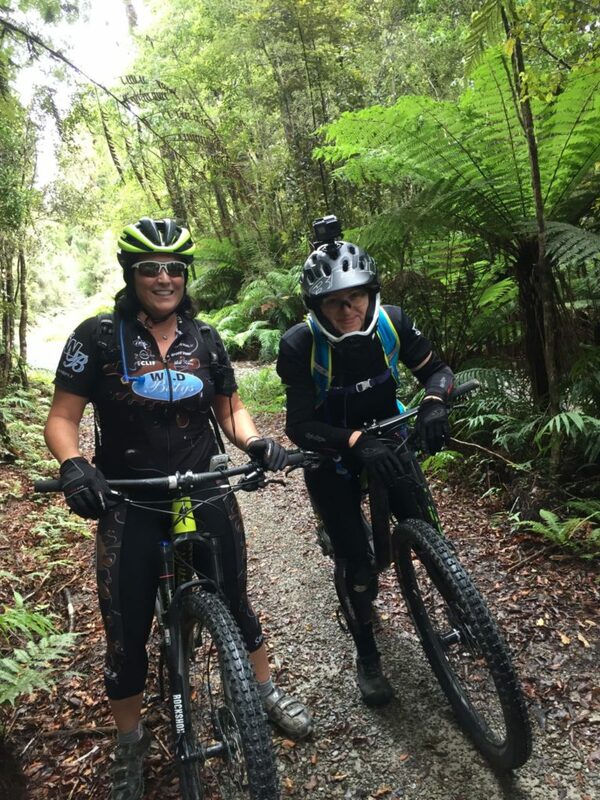 Mountain biking adventure..there is probably no better way to experience New Zealand. I’m lucky I’m from Canada where riding sweet single track in a scenic setting is right there in my own backyard. Okay maybe not quite my backyard but reachable by plane and an hour on the Sea-to-Sky Highway in beautiful British Columbia. 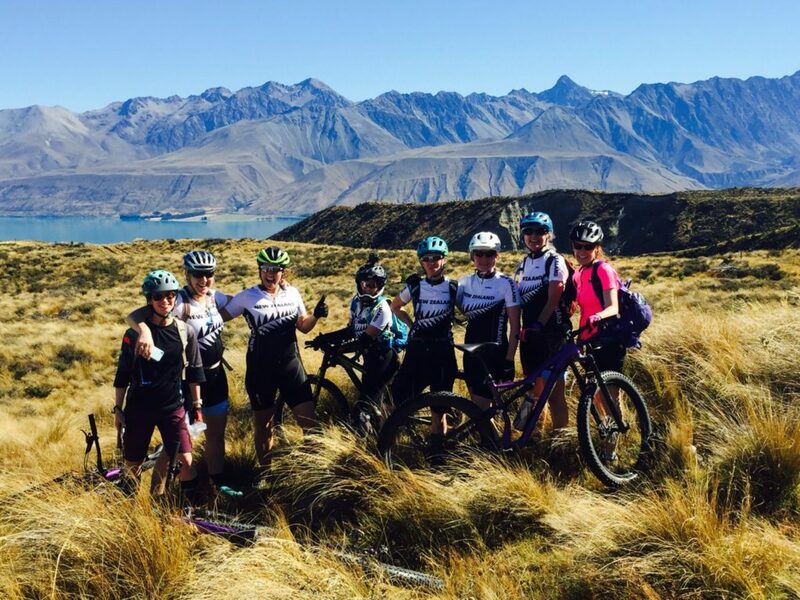 So why not extend the journey and head to New Zealand for a nine-day mountain biking adventure on the South Island? IMBA Gold Certified mountain biking trails, crisp Sauvignon Blancs, sweet flowing single track and a seaside town — what’s not to love about this mountain biking adventure? I arrived in the town of Nelson a day early and fell in love with the place…so much so that I picked up the local real estate listings and started dreaming of buying a vacation home right away. It may have been the Sauvignon Blanc but I began to think this could be a reality. What’s not to love? It’s summertime. I’m in a seaside location. And IMBA Gold Certified mountain biking trails are within easy biking distance of the accommodations the tour operator booked in the center of town. Five from Canada, two Coloradans, and one high-strung Romanian. The next afternoon our guides, Ben and Cristina arrived looking like they had walked off the cover of an adventure travel magazine. I would later find out I wasn’t too far off. 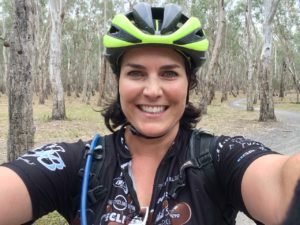 They are the owners of New Zealand Single Track Adventures, a tour operator specializing in multi-day mountain biking trips as well as Sacred Rides New Zealand. We introduced ourselves; five from Canada, two Coloradans, and one high-strung Romanian. I rented one of their specialized mountain bikes. It was a much better choice than paying the airline a few hundred dollars for an oversized bag. Plus, the hassle of cleaning my mountain bike in order to pass New Zealand biosecurity (I’ve watched Boarder Patrol NZ; no thank you) meant renting was the way to go. Ben showed me the bike and immediately asked me how much I weighed to set the shocks accordingly. I asked,“Is that really necessary?” He assured me it was, and now there are two people on the planet who know this number. We will be forever bonded by this secret. Post ride we rocked up to the Sprig and Fern, a local pub serving an outstanding selection of New Zealand beers. Our first ride was up a 300-meter climb where we stopped at the top to catch our breath. Here we take the first of many (and I emphasize many) photos with our bikes set against a stunning New Zealand backdrop. The decent was sweet flowing single track. I was following Ben at the front. He dipped in and out of berms and turns, effortlessly accelerating out of each corner. There’s an elegance to his riding and he makes me want to be a better rider. Post ride we rocked up to the Sprig and Fern, a local pub serving an outstanding selection of New Zealand beers. It’s a weeknight and the place is buzzing. I started to really fall for this country, and it was only day one. Over the next six days, we covered a lot of ground and even some air. The kind you get in a helicopter. Gravity and I have a love-hate relationship. Half the time we’re fighting up a hill and I feel like I’m losing. The other half I’m mostly winning going down. 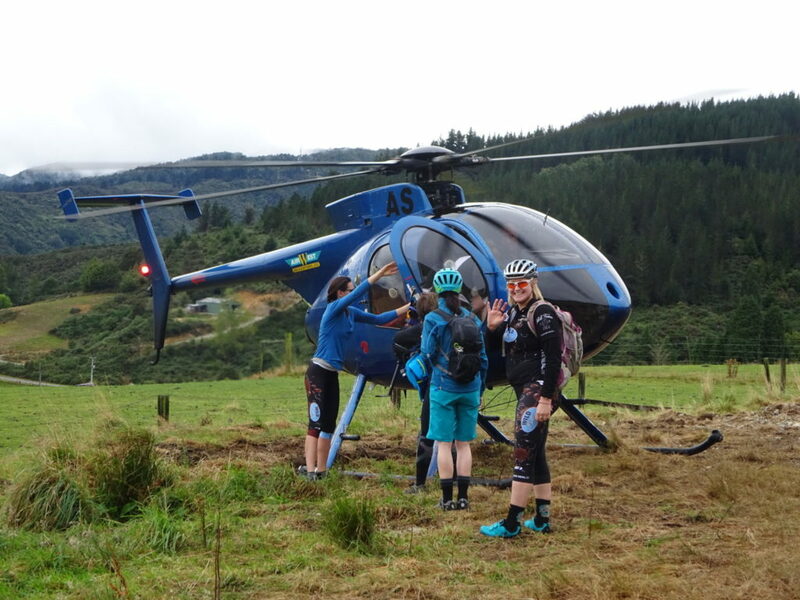 Heli biking is fantastic and oh so kiwi. Why grunt up a long steep hill when you can fly up admiring more of that incredible New Zealand scenery? But it was day seven that proved to be my perfect day. After riding our way down the South Island on seemingly endless kilometers of single track, picturesque double track, and some purpose-built mountain bike trails we found ourselves in Mackenzie Country. Our tour group woke to another of Cristina’s delicious hardy breakfasts. Cristina is Ben’s partner and an accomplished rider. She’s tall, super fit, and let’s just say her and gravity don’t fight much. She can make a technical assent seem easy breezy. This comes in handy since Cristina’s probably going to beat you to the top. Once there, she’ll enthusiastically take a myriad of pictures of you as if it were her first time being there. Her joie de vivre (it’s genuine, she’s originally from Montreal) is infectious. 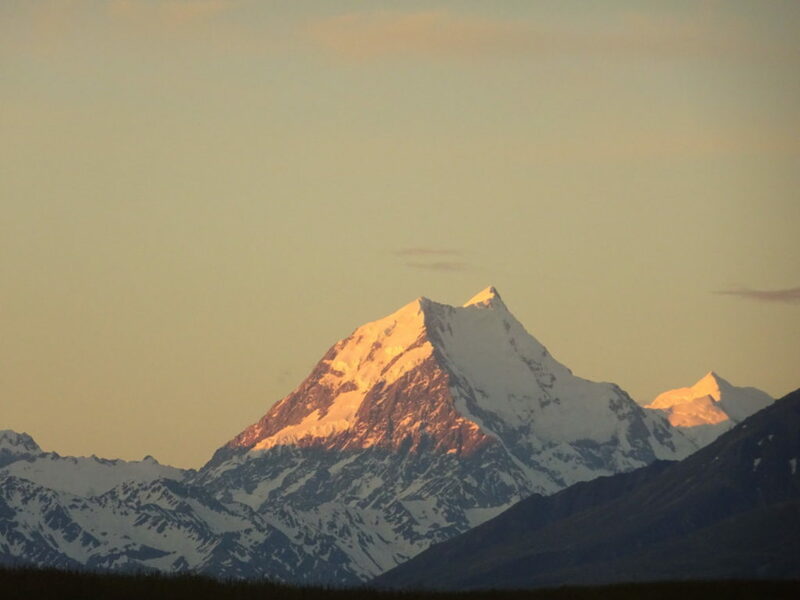 New Zealand Single Track Adventures has negotiated exclusive rights with a local sheep station farmer. 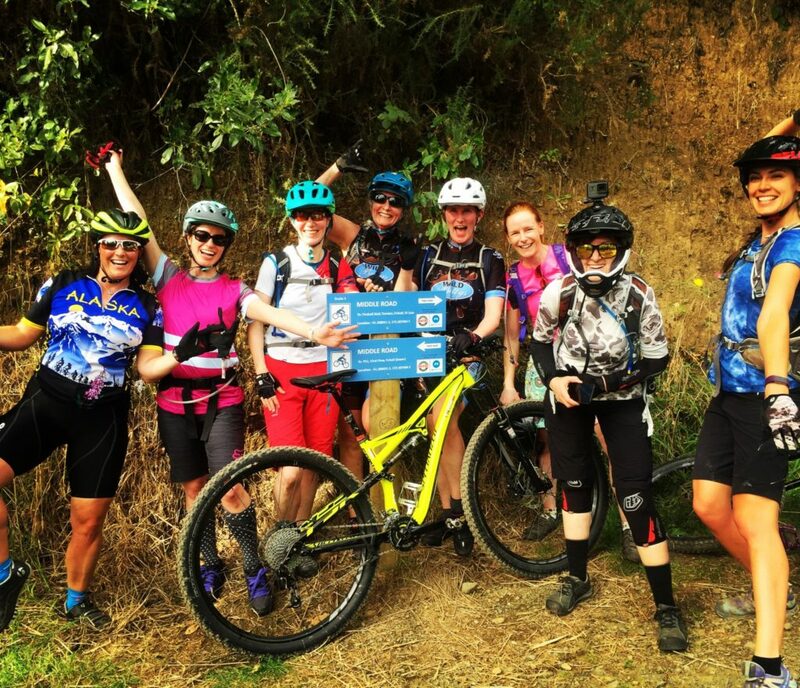 Our mountain bike tour is allowed open access to experience the very best of Mackenzie Country. Back to my perfect day. 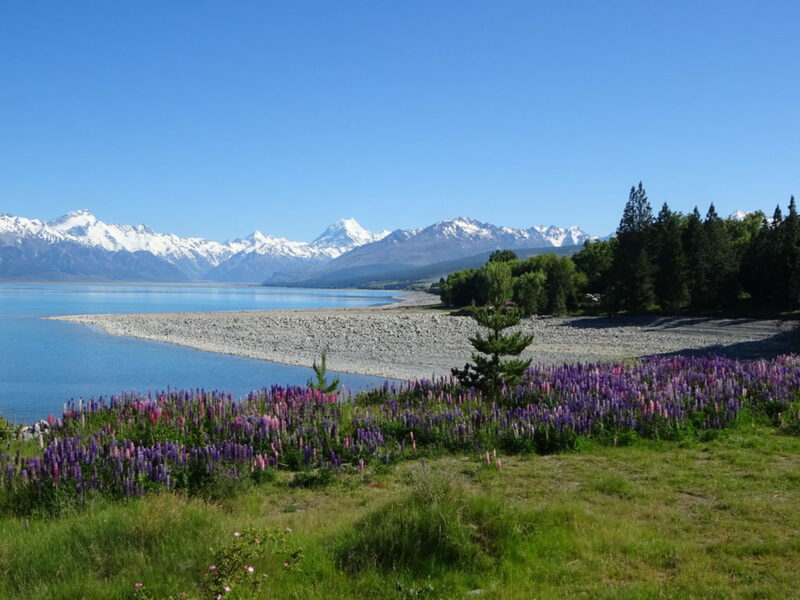 While Ben was in town for the day picking up provisions, Cristina took us to the Lake Tekapo natural hot springs to soak our muscles, compare bruises, and gaze upon the chalky aquamarine colors of the lake. After a quick bite for lunch, it was time to gear up and get on our mountain bikes. 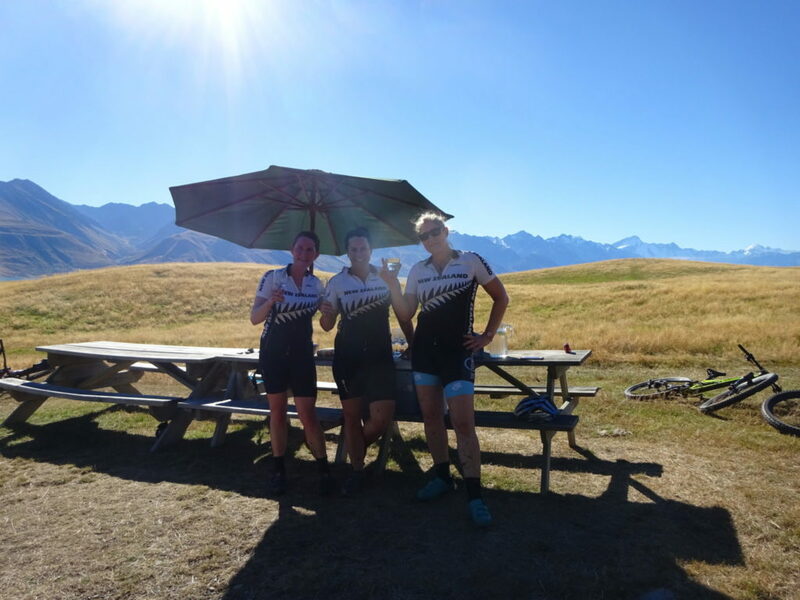 New Zealand Single Track Adventures has negotiated exclusive rights with a local sheep station farmer. 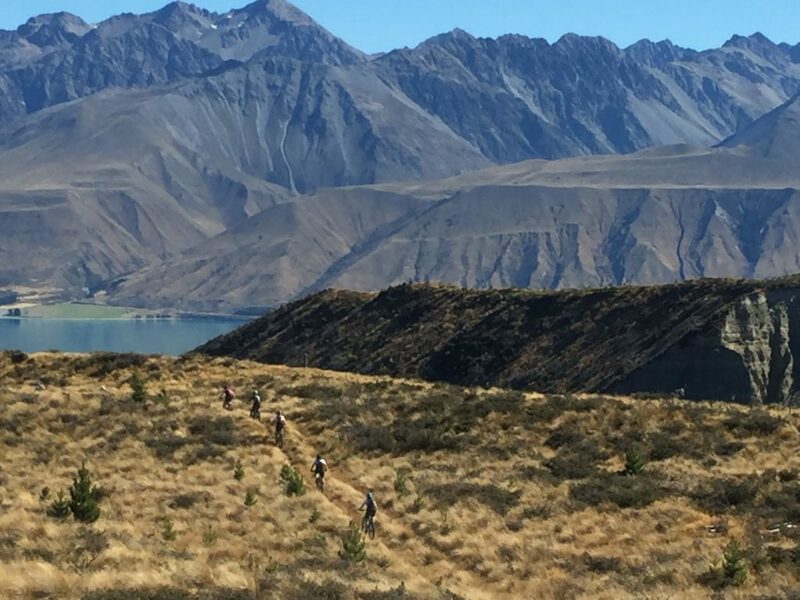 Our mountain bike tour is allowed open access to experience the very best of Mackenzie Country. The riding was easy going as we climbed through fields dotted with cows and sheep. It was a dazzlingly brilliant day, almost too much for the mountain biking lenses I had chosen for the day. As we made the final climb (gravity was winning), we crested the hill and I fell in love even more. There before us was snow-capped Mount Cook, New Zealand’s highest peak, reflecting in the shimmering turquoise waters of Lake Pukaki. Authentic Kiwi appeal — close enough to Utopia to keep you coming back. We made the 3 km descent. It was hard to look away as we followed the curve of the lake and picked up speed. Then we rounded the last corner and our accommodation for the night came into view. There, too, was Ben waiting for us with wine and cheese. Is this Utopia? No just another day of mountain biking in New Zealand. He had been busy preparing a feast of New Zealand lamb with all the trimmings. With no internet or TV, we sat around the fire that night telling ghost stories. It doesn’t get more authentic than that. 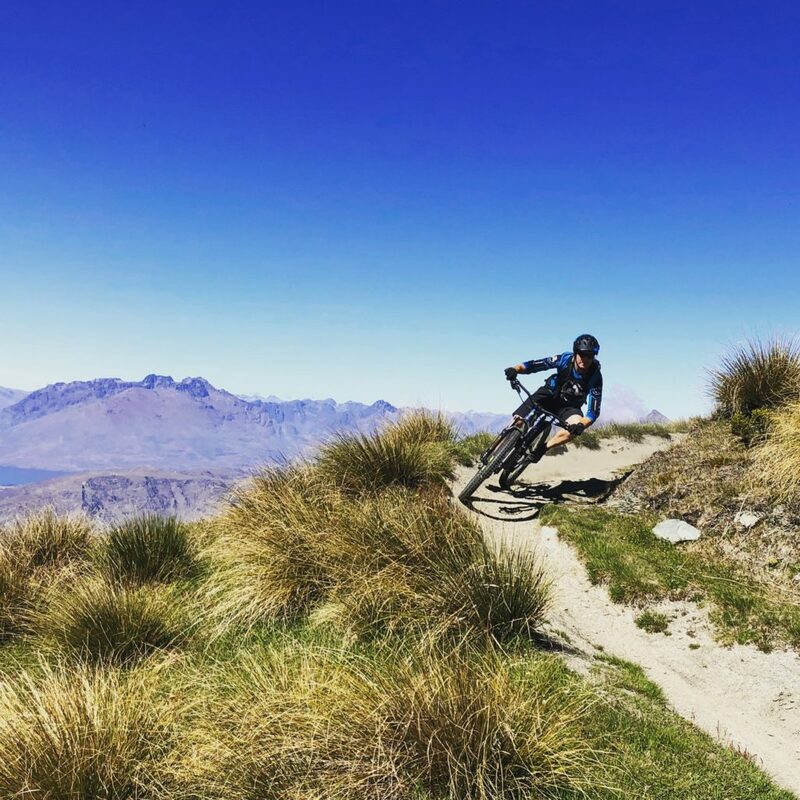 Our final days were spent riding the single track trails around Queenstown, the bustling adventure capital of New Zealand. The toughest decision I make on my trip is what flavor electrolyte to put in my Camelbak. This is just one indicator that I had booked the right mountain bike tour operator. 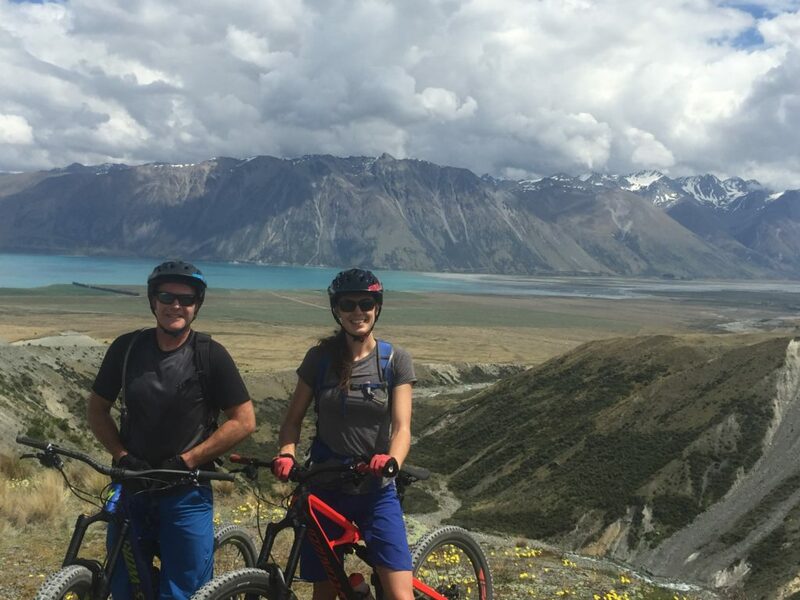 To see more of New Zealand Single Track Adventures’ dynamic duo check out Ben and Cristina in an upcoming campaign for the Australian outdoor adventure retailer MacPac or book one of their awesome mountain bike trips.